Taco Bell, which started as a small restaurant in Los Angeles County in 1962, has grown to more than 6,000 outlets—of which roughly 95 percent are in the U.S. Now the chain plans to take what it calls “Mexican-inspired” cuisine to the rest of the world, with plans to add 1,300 international locations by the end of 2023. That averages out to about one new Taco Bell location outside the U.S. every two to three days for the next nine years. The chain has already spread its Crunchwraps and Fritos-stuffed beef burritos across the country, but as McDonald’s results over the past year have shown, the domestic fast-food industry is struggling. Even with the launch of breakfast, Taco Bell’s same-store sales managed to increase only 3 percent last quarter. The chain has franchises in 26 countries, but combined, they account for a mere 250 restaurants. 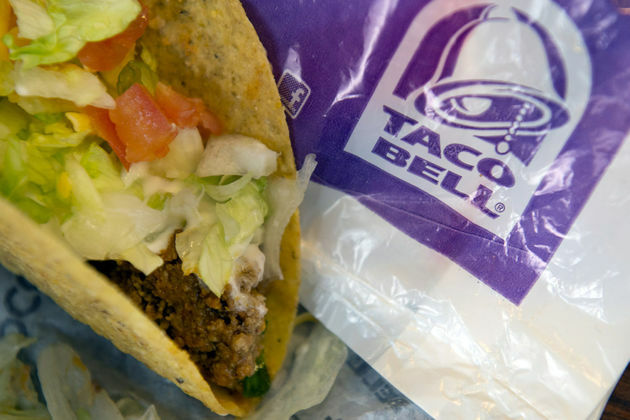 Taco Bell’s new plan would dramatically expand its international footprint to 1,550 restaurants with franchises starting in the U.K., Korea, Chile, and India, where it already has a number of stores, and then to Poland, Japan, Thailand, and Peru. Melissa Lora, the president of Taco Bell International, says these markets were selected for having a growing consumer class and at least some familiarity with Mexican food. They’re also markets that owner Yum Brands—which also own Pizza Hut and KFC—already operates in. It’s not clear, though, whether an American-Mexican food mashup will catch on as the next global fast food—especially because Taco Bell has tried and failed at overseas expansion before. In the late 1980s, it tried to launch in the U.K. but closed all locations by the mid-1990s. It also failed to take off in Japan after opening in 1988. And Chipotle Mexican Grill, which has enjoyed phenomenal success in the U.S., initially found burritos to be a tough sell to locals in the U.K. Unlike other ubiquitous global cuisines, such as Chinese and Italian food, Mexican cuisine hasn’t spread alongside immigration. According to the Institute for Mexicans Abroad, a Mexican government agency, the U.S. accounts for nearly 98 percent of the 11.9 million Mexicans living abroad. There are other Mexican-style chains, such as the U.K.’s 70-outlet restaurant Chiquito, but Mexican food remains a niche market. According to Darren Tristano, executive vice president at restaurant research firm Technomic, Taco Bell might now stand a chance: Other chains have built some momentum for Taco Bell to expand, and Mexican food “is transitioning to a global cuisine,” he said, as international consumers seek more portable and inexpensive foods. Just don’t expect the same old cuisine overseas. Much like other chains, Taco Bell will make local adjustments to its menu in an effort to cater to regional tastes—an endeavor they’ve already started by serving up bulgogi beef tacos and burritos in Korea.